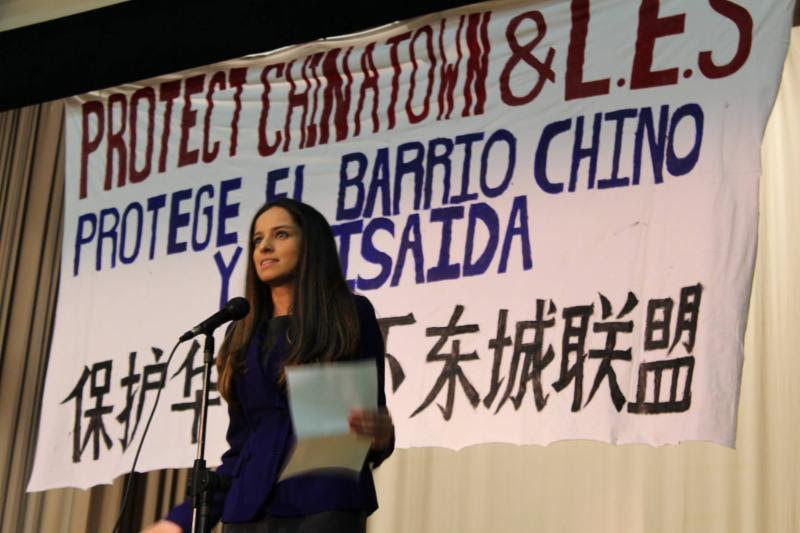 Join the South Bronx Community Congress, Coalition to Protect Chinatown & LES, and many others to put Mayor de Blasio on notice, that our communities demand community-led rezoning in the new year. 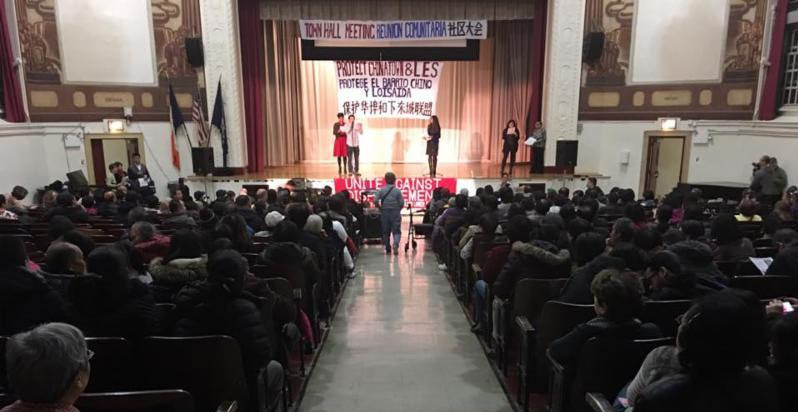 Over 700 concerned residents, small business owners, workers, and supporters attended a Town Hall meeting on the evening of December 5th at Seward Park High School to discuss the future of Chinatown and the Lower East Side and to demand Mayor de Blasio act now to protect our community. The mayor’s failure to endorse the Chinatown Working Group (CWG) rezoning plan has elicited anger and distrust from the community. The Coalition invited Mayor de Blasio to the Town Hall to face his constituents and tell them why he has not come out to support the CWG rezoning plan. 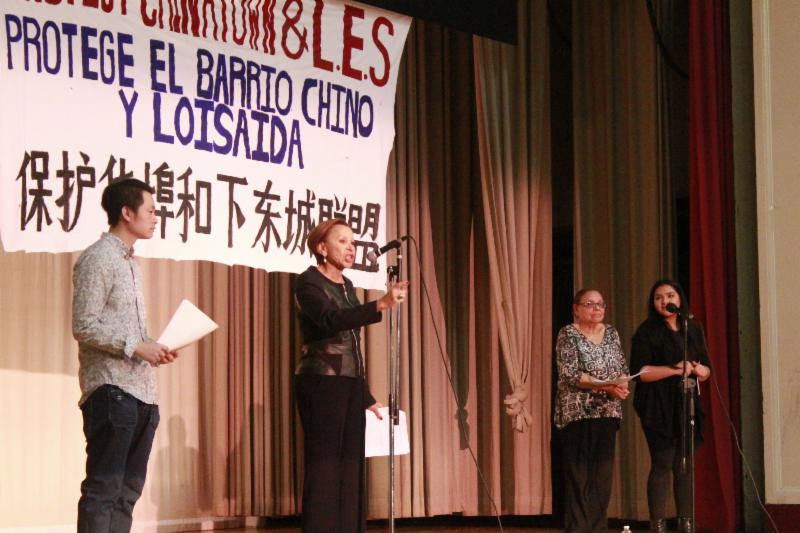 “Since 2008 when the East Village Rezoning Plan was approved, which gave protection from displacement to the majority white, wealthier community just north of us, we’ve seen so much more luxury development in the LES and Chinatown–because we were excluded from protection! We want equal protection. That is asking for too much? !” said Jacqueline Herran. Outrage grew as the crowd made it clear that they had already compromised enough. “You say compromise. By compromise you mean you want to push out all the Chinese, all the Latinos, all the African Americans, all the poor!” shouted one audience member. Participants of the Town Hall agreed to take the fight to the Mayor’s home at Gracie Mansion. We will hold a city-wide rally together with organizations across NYC on Wednesday, December 16, 2015 at 4:00pm. 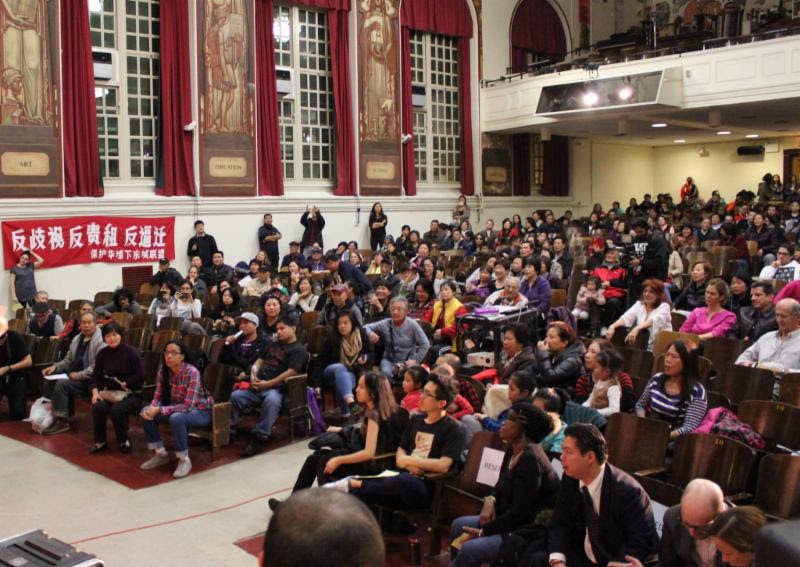 The broad community-based coalition is hosting a town hall at Seward Park High School on Saturday to discuss neighborhood displacement and demand that City Hall endorse the Chinatown Working Group Rezoning Plan. Under de Blasio’s plan, the rapid sprawl of gilded glass towers piercing the skyline will rob everyday New Yorkers of affordability, history, sunlight and perhaps most important, their precious sense of community and neighborhoods. A comprehensive citywide affordable housing plan is long overdue, but de Blasio’s proposal is disproportionately favorable to luxury developers. A community-led rezoning, like the Chinatown Working Group Rezoning Plan, is clearly the sensible alternative. This is an EMERGENCY CALL TO ACTION! Mayor de Blasio is attacking working families and people of color time and again by pushing luxury development in the name of creating “affordable” housing. In the Lower East Side and Chinatown, he has blatantly rejected a community-led rezoning plan seven years in the making. He has rejected similar efforts for an alternative plan in East New York, Brooklyn and is set to do the same for Jerome Avenue in South Bronx and Flushing, Queens. This past month, nearly 50 Community Boards rejected his mandatory citywide zoning, yet the Mayor responded by saying their opinions didn’t count. He has betrayed the trust of the people who voted for him, continuing Bloomberg’s legacy. It is clear the Mayor’s solution to end the Tale of Two Cities is to destroy all of New York City. Each neighborhood is being stripped of its own unique, distinct character to make way for ultra-luxury high rises. There is another way to end the Tale of Two Cities, by building a multi-ethnic coalition of communities across New York City. We are calling on everyone to unite and say “No” to Mayor de Blasio’s developer-led rezonings, “Yes” to community-led rezoning!